Ghostbuster Dave Sage is head of the Kent Paranormal Investigators and boasts of seeing a number of spine-chilling sights over the years. 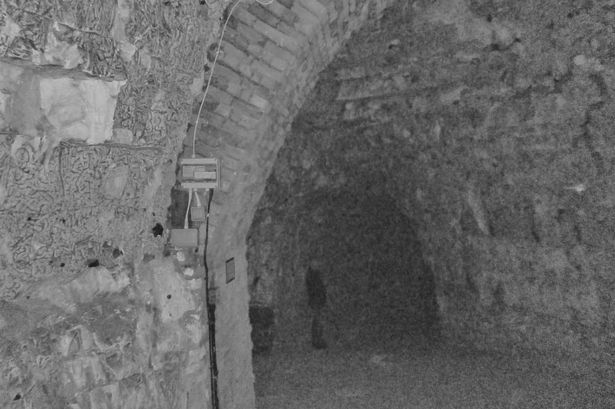 Dave explained how one trip to the fort captured what looks like the shadowy figure of a man in the caves. "That is a weird one," David admits. "We were just taking random pictures and if you look down his legs it looks like his knee caps are missing and then he has boots on. "There was no one else down there when that was taken."